The Children’s Rosary has a theme song which was written by Fr. Lawrence Tucker SOLT. This song was written for the Children’s Rosary. We are very grateful for this gift. We have made the sheet music for the song available to Children’s Rosary groups HERE. We also have a music video for our theme song available below. We are aware that many of our Children’s Rosary groups are praying in other languages but we still invite the children to learn our theme song in English. In this way it is a universal song that the children can sing all around the world. 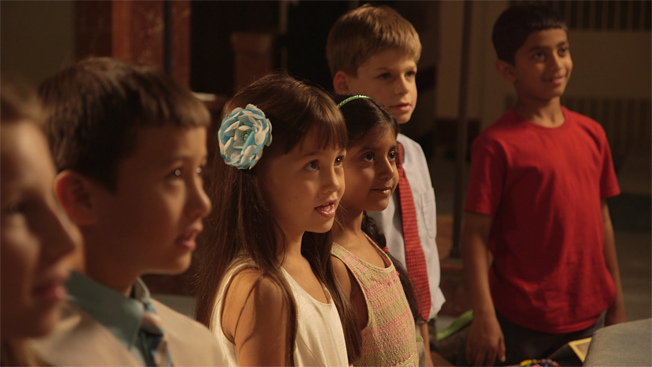 We do provide the song “Rosary Children” with subtitles in Spanish and French so that the children can understand the meaning of the lyrics they are singing. Our theme song is available on our Glorious CD sung by the children and a version sung by Jeff Batter is available on our Sorrowful CD.